This scholarship is to encourage children and grandchildren of current SAE Detroit Section members to pursue careers in engineering or science.SAE Detroit Section is pleased to announce that Gretta Kissell and Annalese Lohr were selected to receive the 2018 SAE Detroit Section Scholarship in the amount of $2,500 annually for up to four years. 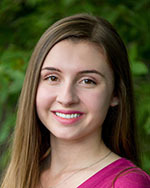 Gretta Kissell, daughter of SAE member Eric R. Kissell, is a recent graduate of Old Fort High School and plans to study chemistry and Spanish at Columbia University in New York. 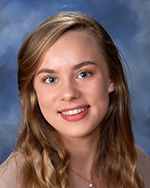 Annalese Lohr, daughter of SAE member John Lohr, is a recent graduate of Wylie E. Groves and plans to study mathematics at the University of Michigan. On behalf of SAE Detroit Section, we would like to congratulate Gretta and Annalese and wish them much success in their future endeavors!